Oh hi….long time no write. Seems to be the summer theme lately, but I promise I will share everything that has been going on. How is it August already and where did my summer go? But honestly, I wouldn’t have changed a single thing. 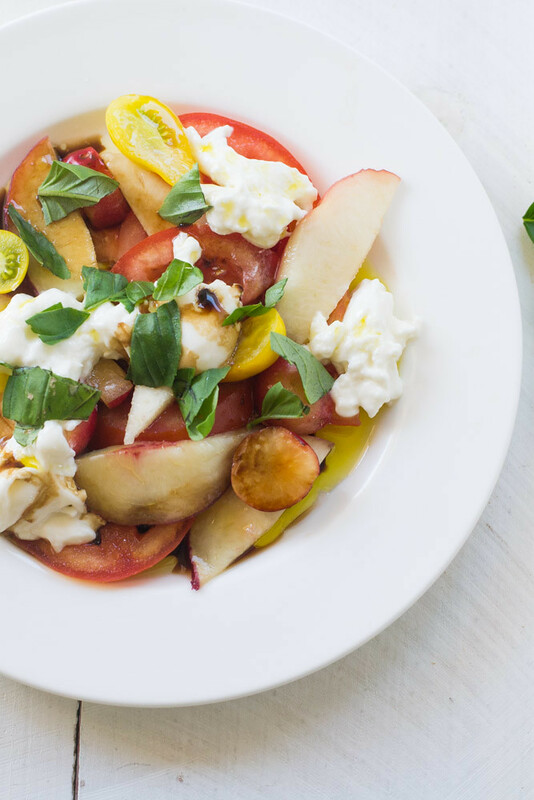 Ok and yes, I have food.A simple summer fruit caprese salad to be exact and the epitome of how I eat when life is crazy. Ok, cliff notes version: We bought a house and started breaking into kitchen upgrades. like majorly! 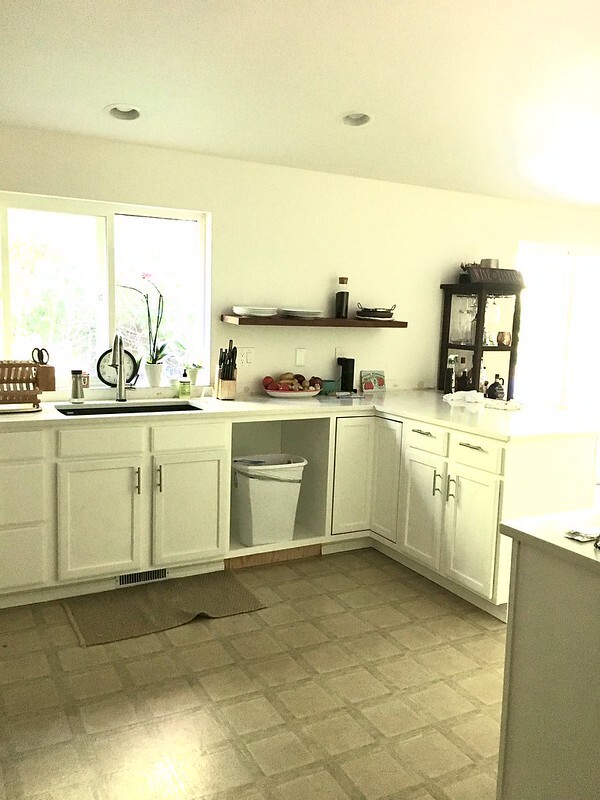 We didn’t have cabinet doors on for a few weeks, didn’t have a counter top for a day and a half and a few little things still need to be finished..but…it’s seriously gawww-gusssss! Ok..here’s a sneak peak…do you love it!! I can’t wait to share the reveal. This has seriously been a dream come true in all it’s entirety! 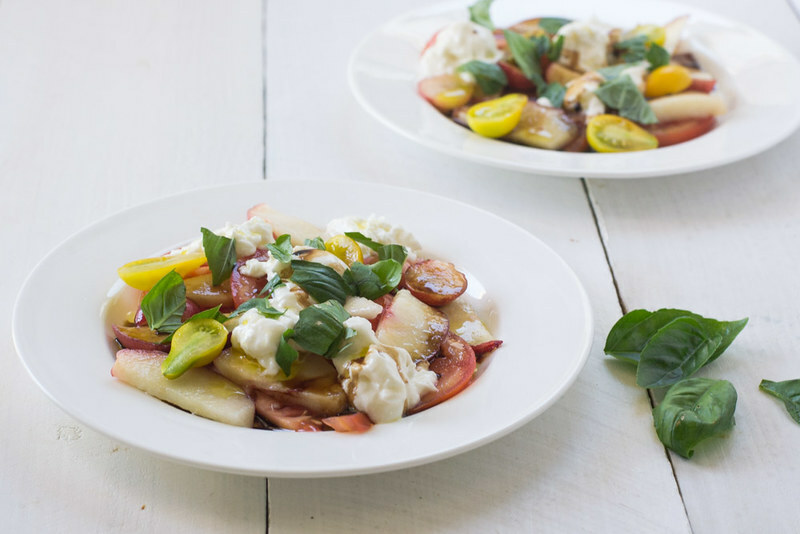 Summer fruit caprese salad is how I summer life gets hectic. 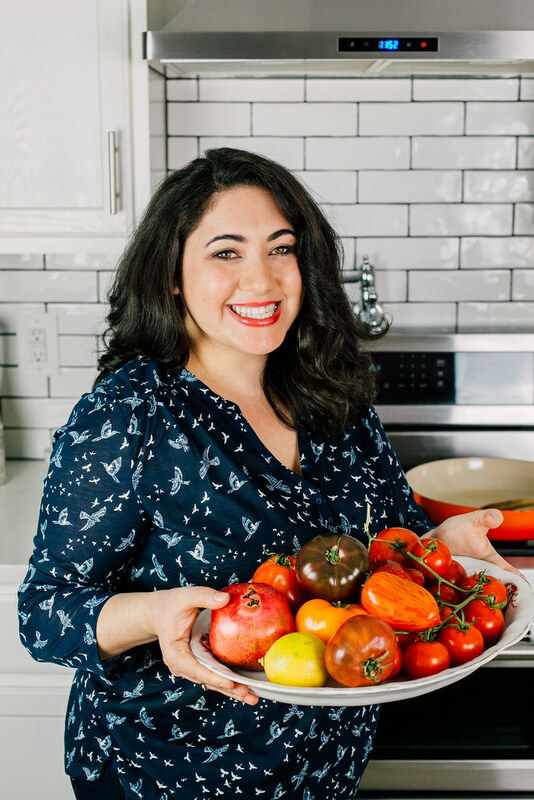 I get the sweetest that the season has to offer, some of my favorite burrata cheese in the entire world and if you havent had burrata, you MUST run anf find it! I’d like to say buratta is a cheese pouch and the outside almost has the texrure of a stiffer mozorella and the inside incredibly soft and pillowy. The flavor is delicate and the texture is so creamy, just beautiful. Because the ingredients are so stellar on their own and at their peak, you don’t need much. A drizzle of your favorite good quality olive oil (and I’ve talked about my favorite olive oil and balsamic previously) and freshly torn basil and you’re set. A glass of rosè, and you my friends have yourself a gorgeous summer evening. 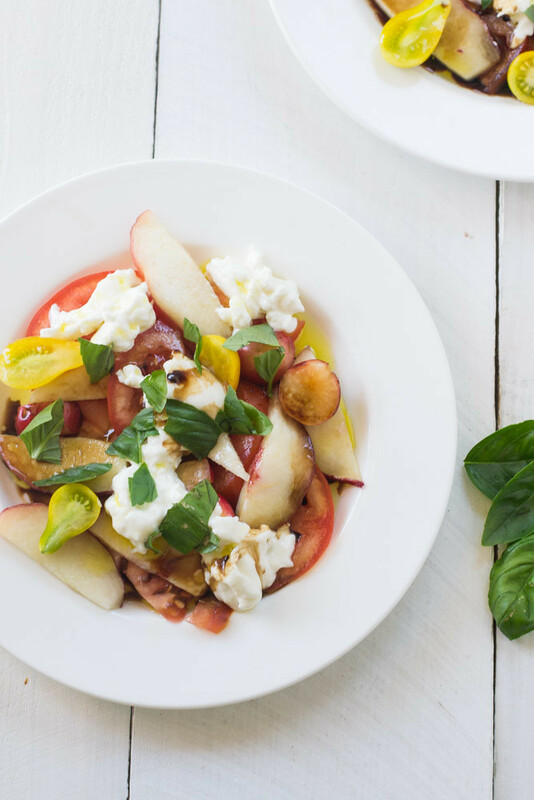 Toss fruit and tomatoes with olive oil and balsamic and season with a pinch of salt. Tear pieces of buratta and place on top of salad and garnish with fresh basil. The salad looks so scrumptious! Perfect for a summer day. Refreshing and very vibrant I must say! I do have a query, Can regular vinegar be a substitute for the balsamic one? Ushmana@ourfoodandhome recently posted..Vitamix 6300 Vs 7500 – Which Blender Should You Buy? Ushmana recently posted..Vitamix 6300 Vs 7500 – Which Blender Should You Buy? This looks really interesting. I am not a fan of cherries but loves peaches a lot. I hope I can find heirloom tomatoes in the market. Will try this soon. Thank you for the inspiration. Hi Sheila!! Heirlooms are quickly leaving the season where I am! Hope you can still find some..if not, next summer for sure!